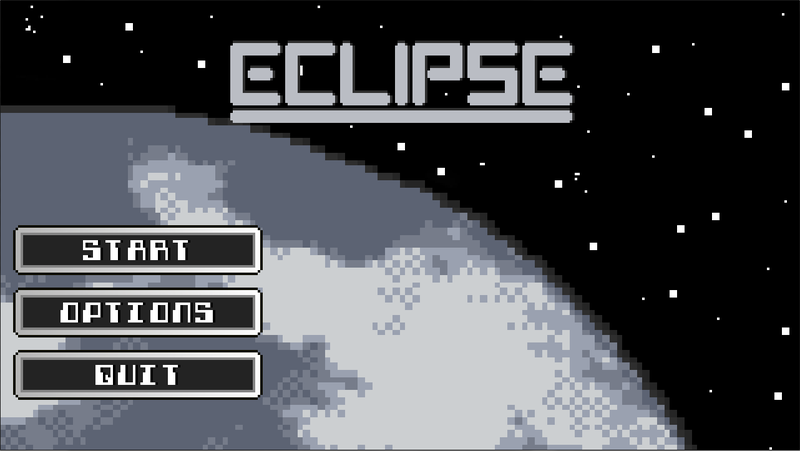 My latest project is a little something called Eclipse. And yes, the IDE gave me the idea for the name. 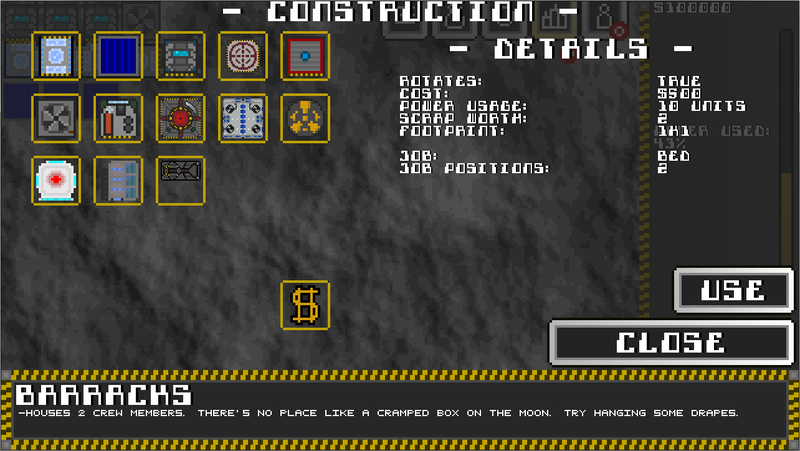 Anyway, in this game, you manage and build your own moon base. From managing crew, to mining the moon's surface for ore to trade or smelt, there are lots of features planned for this. It's been in development since late July and I thought that it was about time to show off my progress. Any comments or criticisms are greatly appreciated. Download it here! FYI it's about a 21mb file. I see a screenshot of the menu, not something in game. Sorry about that. Here's a couple of pics in game, I really need to add a way to make it take screenshots and save them. This is the construction menu, where you'll find all the available buildings that can be made, along with all specifications as to them. 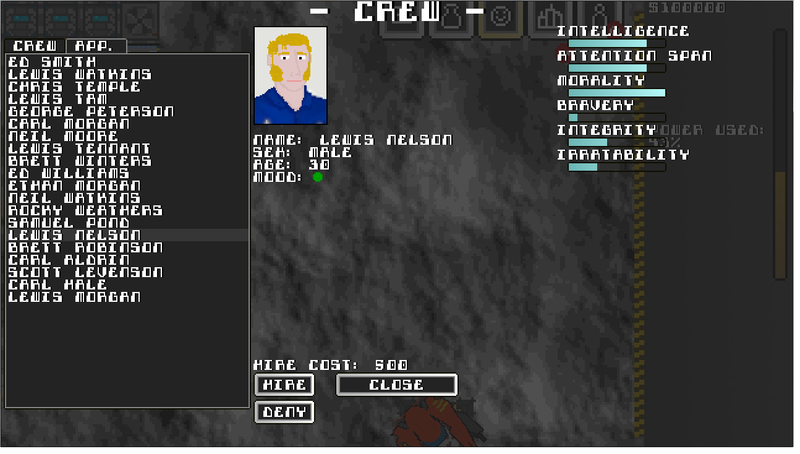 This is the Crew management system. 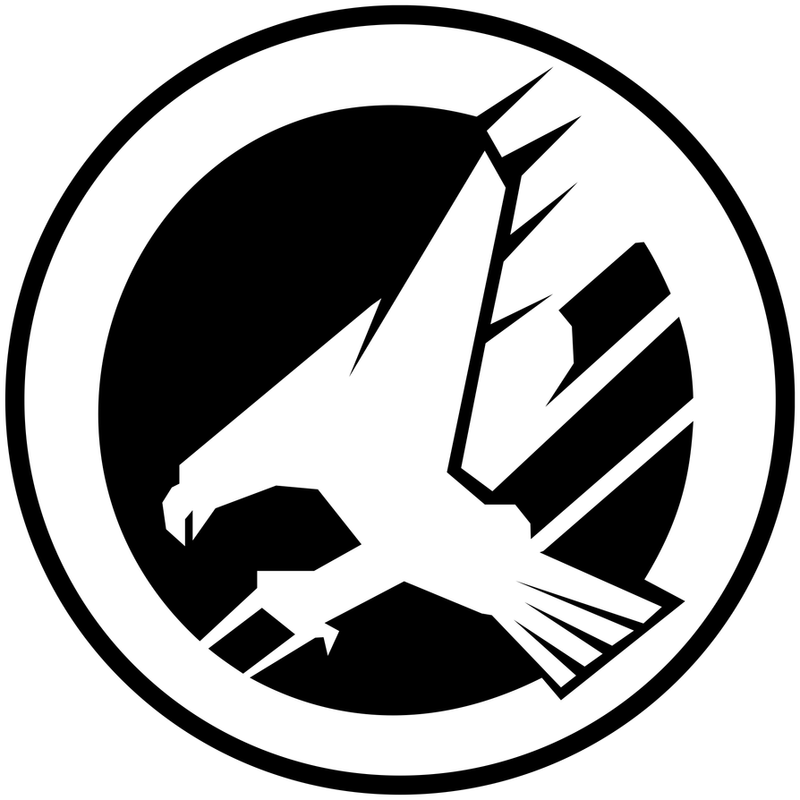 You can view information about crew and view applicants that wish to join your crew. One of my favorite features as of yet is the economy system. You can watch the trade prices of materials and any traders will base their trade price on the market price. I played it, it was OK. I think it has a lot of potential, the art is pretty nice and i really like the music. Really i dont understand what the point of having to enter the menu to access the different buttons. I think you should just put one of every material where they are now, and let them use numbers or click on them to change. A tutorial would really come in handy, i didnt understand what to do and how the controls worked. I think you should prioritize stuff like that before you make trading with the complex graph simulations. Thanks for the feedback. When you say that you have to open the menu to access the buttons, do you mean the construction menu? Or do you mean just the menus in general? I tend to think of the goal sort of like a Dwarf Fortress idea where the goal is to survive. I do plan on implementing a tutorial section that explains what everything does. I'll start working on that ASAP for anyone who tries it. Cool. I mean the construction button. You have to open the construction tab, and the buttons in the top left for some reason don't work. And then if you open a type in the tab, it pops below it, and it is all a bit confusing. Its like if you had to open the minecraft creative tab to pick a block and then you could use only that block. I have to ask how did you get your jar to open on click, mine you have to go into the cmd to open. 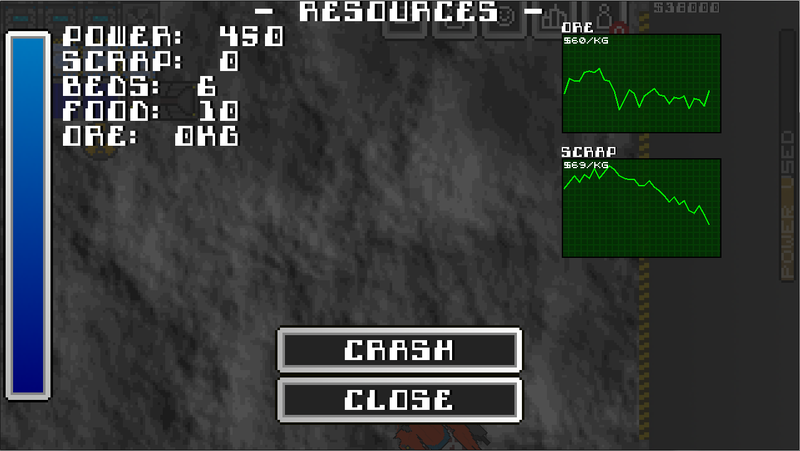 I'll think about reorganizing some of the UI, anything in this can be subject to change. As for the Jar, when i export the project from the IDE (Eclipse), i just select Runnable Jar.